Peacock Beauty Lounge is a beauty retreat located on a quaint and peaceful side street in Guildford town centre where you can step out of the hustle and bustle and into a truly relaxing environment. 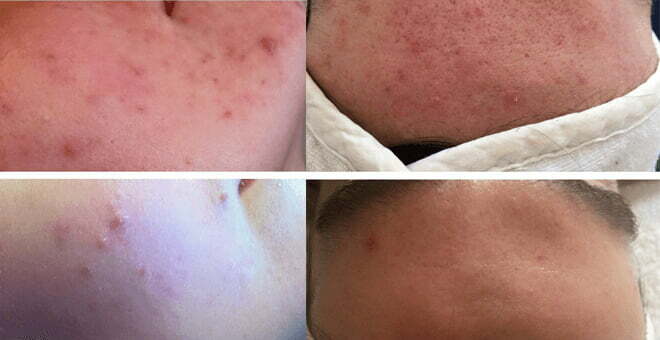 These before and after images are just some of the results they are getting with their SkinBase system. So why is the treatment so effective? Normally skin renews itself approximately every 28 days. SkinBase microdermabrasion speeds up the body’s normal rate of skin renewal by using a jet of tiny crystals to remove dead skin cells from the stratum corneum layer of the epidermis – ridding the skin of tired and dull patches and revealing new, fresh skin and giving a radiant glow. Not got SkinBase microdermabrasion in your business? So why not take advantage of our two-week free trial. You keep any earnings. Find out more about SkinBase microdermabrasion machines.